Durable, precise rifle scope mounts from Vortex handle everyday mounting requirements without a hitch. High: These Vortex Hunter Rings position the center of the riflescope tube at a height of 1.22 inches (31.0 mm) from the base. Medium: These Vortex Hunter Rings position the center of the riflescope tube at a height of 0.87 inches (22.0 mm) from the base. 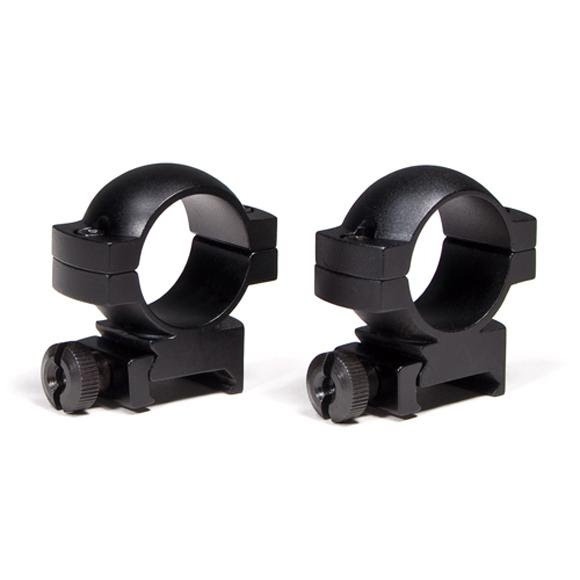 Low: These Vortex Hunter Rings position the center of the riflescope tube at a height of 0.63 inches (16.0 mm) from the base.